I used Floral Morifs, white embossed and watercoloured with Copics. I splattered some Colorbursts but the colours were so bright they kind of overpowered the delicacy of the blooms so I covered them with some corner die cuts. 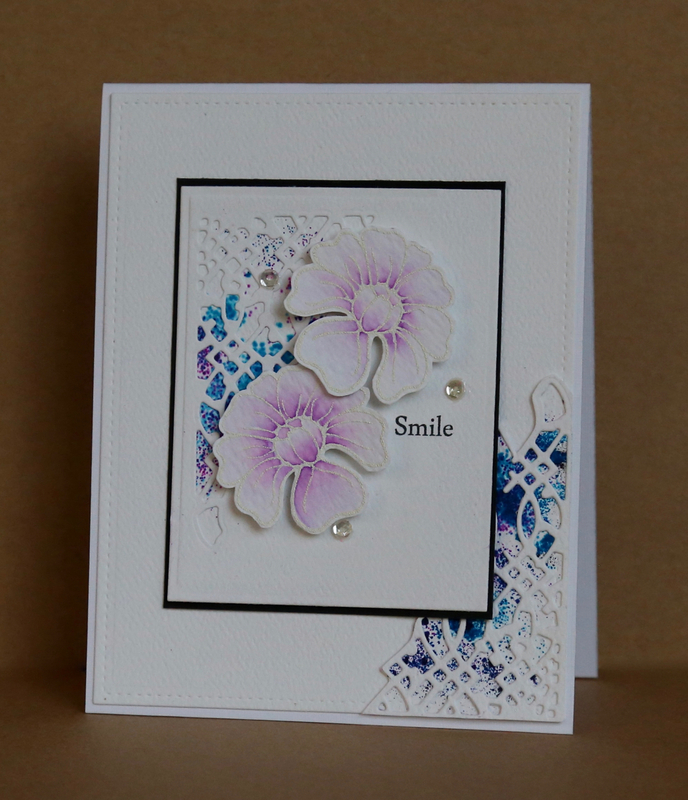 I'm also popping this over the Simon Says Stamp's Wednesday challenge where anything goes! This is simply breathtaking Claire. Love it. 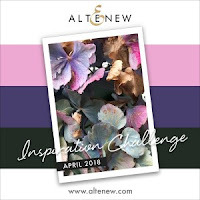 I love the use of that die, Claire, and this is a lovely use of the challenge colors! Thanks for playing along with us at the Simon Says Stamp Wednesday challenge!